View from dining room at Mt. Magazine, AR. View from the Lodge at Mt. Magazine, AR. Mt. Magazine is the highest point in AR. View from Mt. Magazine Lodge dining room. This entry was posted in Uncategorized and tagged AR Mount Magazine, Magazine arkansas, Mt, view from lodge at Mount magazine. Bookmark the permalink. 1 Response to View from dining room at Mt. Magazine, AR. your dining room photo reminds me of two others that should go in this category. 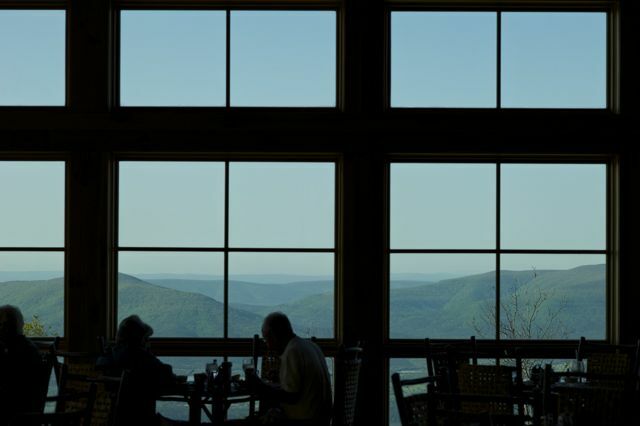 the dining room at The Lodge at Amicalola Falls in GA and also the Dining Room in the Lodge on the NORTH Rim of the Grand Canyon.